From the very first design visit, we will guide you through the potential pitfalls, helping you make the best choices for your Bathroom or Bedroom. With a truly excellent level of customer service Simply Bathrooms and Bedrooms of Sherborne will help you achieve the bathroom or bedroom design of your dreams. At Simply Bathrooms and Bedrooms of Sherborne, we design, Supply and fit. We also project manage every job undertaken, taking away the stresses and strains of getting in 5 or 6 different trades people. Also, Unlike other companies, we are solely responsible for the entire fit, meaning you will be dealing with 1 person only throughout. 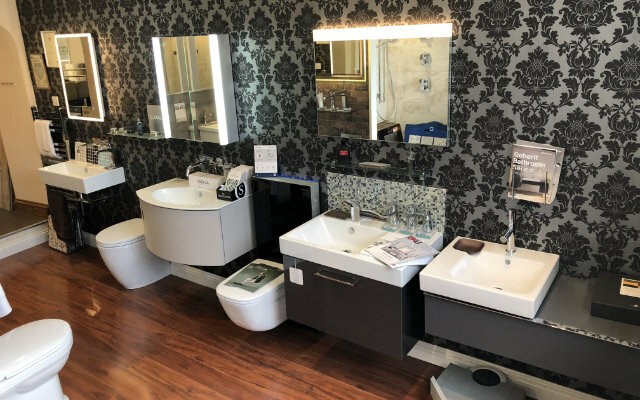 Our showroom has a number of inspirational examples from various ranges, so why not pay us a visit to discuss the design for your new bathroom or bedroom. If you have any questions about the products or services offered by Simply Bathrooms and Bedrooms of Sherborne or would like a no obligation home visit, then please give us a call on 01935 817111 or send us an email.